Guys, believe it or not, filing tax seemed a very complicated process for me, when I heard the stories from my father and anyone whom I've talked about it. I was just discouraged to take any initiatives myself because they told me something like..it's a long process, I need to get this accountant, do mathematics, pay him/her(accountant) few hundred bucks blah blah blah.. Since, this was my first year filing for tax, I wasn't sure, where to go and what to do. Last night, as I was checking my W-2 form, at the top right corner of it I noticed something written as 'E-File' with a link. Whaoo. How could I not see that Last week? May be I was busy checking my income stat and how much taxes I paid to federal and state etc. Whatever as soon as I saw that I fired up the link(http://www.irs.gov/efile/) on my computer's browser. Guys, if you are tech savvy and love everything starting with 'e' like 'e-file', e-mail etc, then it shouldn't take much time and you would be more than happy to e-file. If you were hiring accountant till last year, you'll save the fees by e-filing your tax. Something you should know before you start e-filing. The system requires all the informations to be accurate and be provided with confidential data as your Social Security Number, your Employer ID,Tax ID, etc and if you are faint of heart to provide these details over the internet, you are most welcomed to follow your old traditional method of paper mail filing. As soon as I visited IRS's link, I saw there were many options off which I selected mine as Individual Tax Payer and followed thereafter. I also noticed, IRS is not helping us to efile but taking third-party help to do that for us. I saw listing of third-party companies on their site for us to choose from. There were many and I chose TurboTax because that name seemed quite familiar and have been hearing a lot recently(may be because of marketing). Checked their reviews on net and found over 90% positive comments on them. So, I jumped on it. I created myself an account with TurboxTax. It's free. 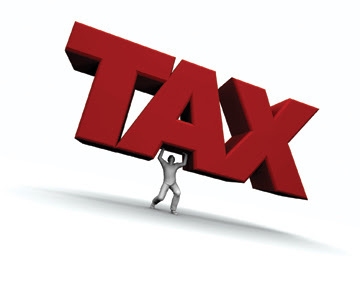 Be sure to give all correct and accurate informations as it's all about your income tax return. Any fake informations like you would do while creating online webmail account would get you into trouble. Don't be frightened giving out your info. I checked their security(https and lock sign with green-long favicon at address bar)layer and it's safe. Have all your forms ready like W-2,Interest received Form, etc.. and TurboTax will walk you through all the steps and it's so easy that even a kid could complete it if he were eligible for filing tax. I gave all my attention and filled out everything they asked for. Looking at my income stat, they even recommended what Should I do next? This is something which I liked very much since I didn't have hard time to figure out what to do next and on top of that they've this 'more details' or something like that besides every option to click which would describe me more about what/why am I selecting that option for. I learned many many things which I've never known before. Every IRS related 'jargon' busted. Turbo Tax helped me get my maximum refund possible, I was even eligible for some other sort of credit which I wasn't told before. and looking at my federal tax return by the end of the process, it was just fabulous. It was six times higher than what I was told that I would receive. Then, I chose an option where I opted to transfer my refund to my bank account, so I gave all my routing,account details. I'm somewhat crazy about paperless business. You could opt for refund check in your mail box though. At the end, the screen came where I read that it's only a click away from transferring my tax file to IRS. And, for this TurboTax charged me $9.95 which is nothing as compared to what TurboTax has tutored me in the process and finally helped me e-file my tax return. I read that they efiled my tax successfully. They gave me my own PIN NUMBER(I need this if I've to efile next year)and further let me know that I would get a confirmation email from IRS within 24 hours if my e-file was accepted or rejected. Finally, I was presented with a screen to save/print my form that was just sent then. I saved my filing in pdf format(They've their completed form in pdf format, needs acrobat reader to read/print). I printed it immediately and kept it for safe record to show when needed that I paid and filed tax(I would have this with TurboTax too, no worries). Actually, I did this efile yesterday and today, I got mail from IRS that my form was successfully received,accepted and within next 72 hours, I would be able to track my refund. My parents were just astonished with what I did which they've been doing by paying some hundreds dollars to their accountants. They were spreading words to their friends over the phone,"hey,he just filed his tax return online" which I think is the rhetoric of technology ignorance and shouldn't need much attention. But definitely, it's big thing for them, because, I'm gonna save their hundreds of bucks and next week, I will be helping them to efile their tax return if asked. Disclaimer: I take no responsibility for any loss after following this post of mine. Everything is at your own risk and You agree that if you've read till here. I have been e-filing for 3 years now. I also use Turbo Tax. For the most part it is really easy, although this year I had a few questions which took me awhile to find. But I do like the way they walk you through every step and ask you questions like you don't know what you're doing ;-) For people with easy returns or maybe even more difficult ones, if you have a general knowledge of computers and can follow along, this is the way to go.